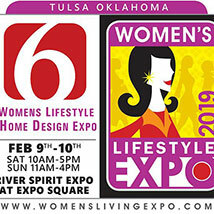 Head to Tulsa for a weekend full of fun at the Women’s Lifestyle & Home Design Expo. This event will be packed with an incredible variety of exhibits to browse, people to see and products to try. Over 200 exhibits will be set up for browsing as well as runway fashion shows and experts in a variety of areas like health, fitness, beauty, fashion, finance, interior design and entertaining, and more. Meet with notable stylists that will be available to cut and style your hair and demonstrate all kinds of new beauty products. This show will also offer ideas in interior design, home décor, landscaping, remodeling and entertaining. Experts will inspire you to transform your home into a warm and welcoming space. Make sure to plan ahead so you can fit everything in at this exciting event.